Arizona Carpet Repair has been called out to everything from leaking waterbeds to leaking washing machines. It’s not what happened that is important but rather what needs to be done next. 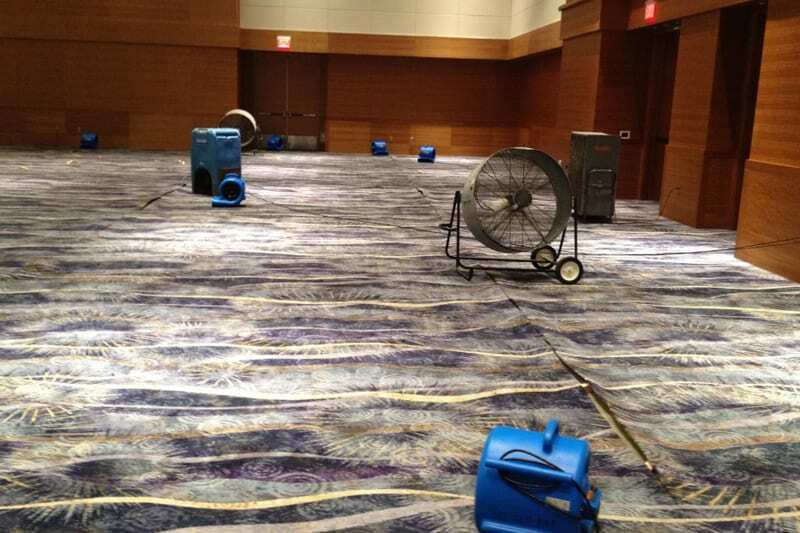 It only takes a short time for that soaked carpet to mildew and grow mold. If you find yourself facing this stressful situation, you’ll want to make sure that your carpet gets pulled up and away from the baseboards as soon as possible and place large fans so that you can be sure the carpet, padding and walls dry before any repair is started. We also highly recommend that you inspect, and replace all the tack strips that may have been weakened by the water if necessary. Our team is equipped with the required tools, skills and experience to handle a job like this. Arizona Carpet Repair. 580 N Bullard Ave, Ste 66, Goodyear, AZ 85338.